A few weeks ago we had a family party to go to, Paul's grandad turned 80 and we had a big party in my mother in law's house. I wanted something for the girls to wear and I wanted them to match so I made them a black gingham skirt each. Next I wanted a nice top to match so I took a boring plain white top and transformed it into a gorgeous top! First things first, you might need to iron your top. Mine had been sat in the refashion pile for months and so was looking a bit worse for wear. You don't want to be painting over creases or your picture won't be nice and even. 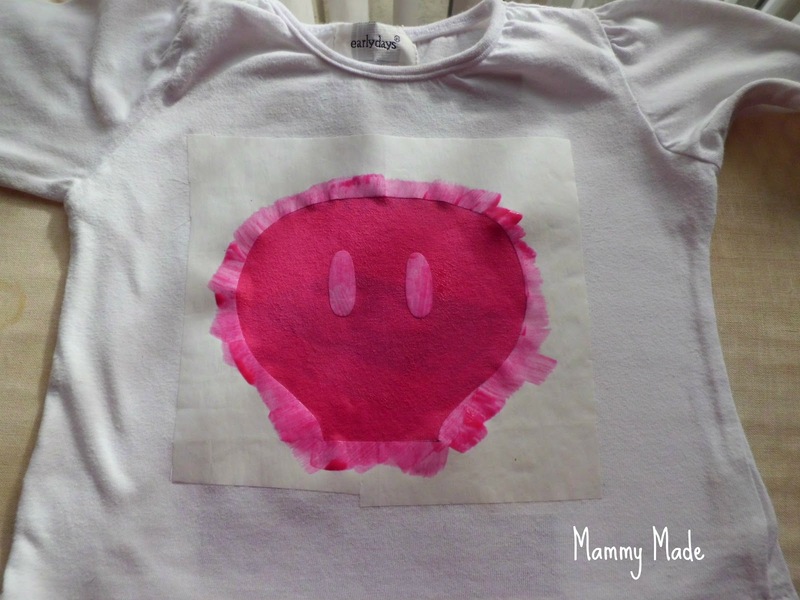 To make your stencil you need to take your freezer paper and you can either freehand a picture on there (non-waxy side) or trace a design you've printed. 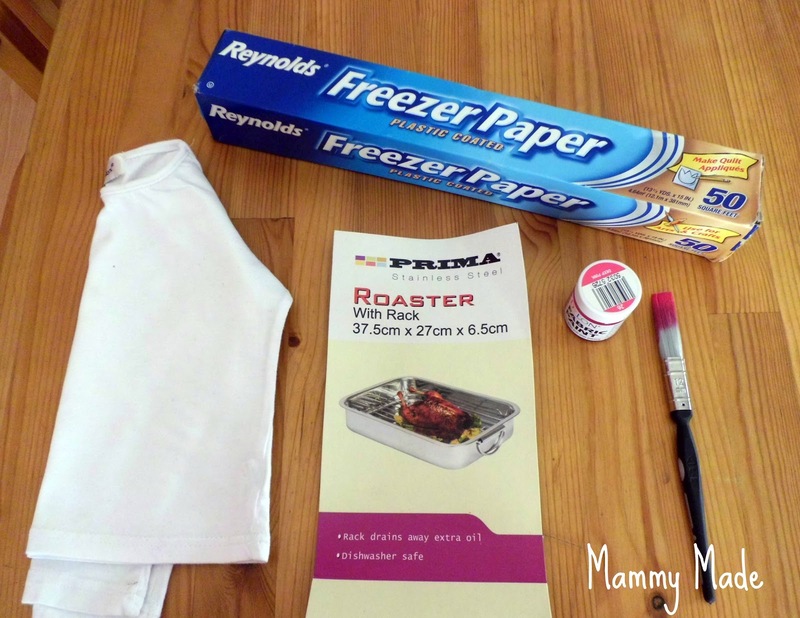 I freehanded mine but made sure to fold the freezer paper in half first then only drew one side of the image so I knew both sides would be nice and even. Cut it out using either a pair of a scissors or a craft knife and you're ready to go. When you're sure the stencil is ironed on securely, put the piece of cardboard inside the front. You want your piece of cardboard to be at least as big as the picture you want to create. This basically stops your paint from seeping through and showing on the back of the top. Now you're ready to paint! I used dylon fabric paint in deep pink. 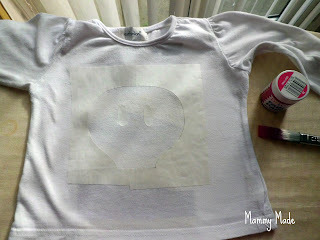 Take your paintbrush and using only a small amount of paint at first, start filling in your stencil. 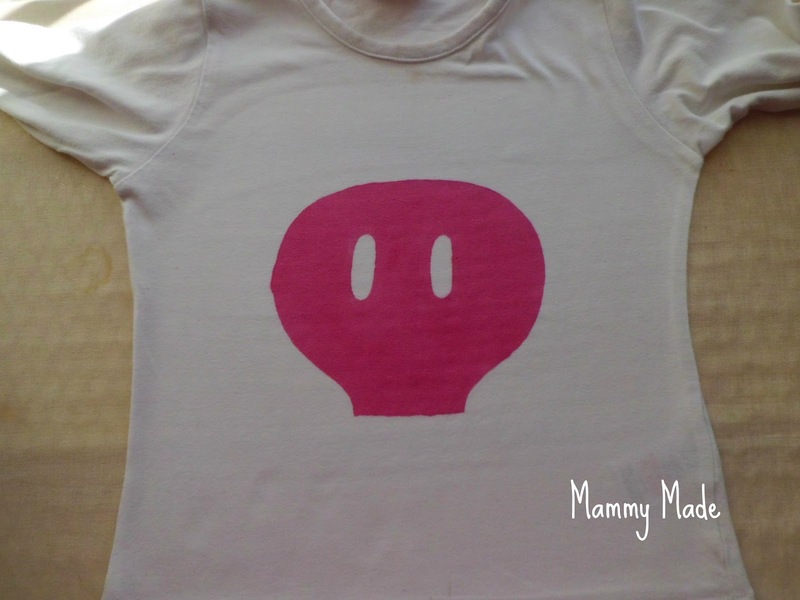 Make sure, when you're doing the edges, you paint from the stencil into the middle. This will help keep your edges nice and neat. Also, try not to just glob the paint on or it will be more likely to seep through. Make your first layer as even as possible, to try and avoid having to do a second layer. Depending on how dark your top is though, you may need to do a second coat anyway. I normally like to leave mine overnight to make sure it's fully dry. Now to set the paint. Take a clean towel or cotton cloth and lay it over the picture. Iron it well. Your top may feel a little stiff but don't worry, it will soften up again after washing.